The new ZBook Mobile Workstation range includes the world’s most powerful convertible PC1 with the world’s brightest 4K laptop display, HP claims. Specific new product includes the $1,499 HP ZBook Studio x360 G5, dubbed the world’s most powerful convertible PC1. According to HP, users can edit high-resolution images without delay, with NVIDIA graphics and Intel Xeon processors. A 360-degree hinge delivers the comfort of a laptop, the convenience of a tablet and the luxury of additional modes to help showcase work. Precision inking with 4,096 levels of pressure sensitivity are realized on the anti-glare HP DreamColor display – the world’s brightest, 4K laptop display. The HP ZBook Studio G5 includes an anti-glare display to support 100 percent Adobe RGB, has 600 nits of brightness, is 20 percent brighter than the Apple MacBook Pro 15-inch Retina display and 50 percent brighter than the Dell XPS UltraSharp 4K display, HP state. This laptop supports up to 6 TB7 of storage, with certified NVIDIA Quadro graphics and 6-core Intel Xeon processors, with 35 percent higher processing performance than the Apple MacBook Pro8. Available from May for around $1,299. The HP ZBook 17 G5 meanwhile is described as the world's most powerful mobile workstation. It is packed with up to 10 TB storage, 64 GB memory and NVIDIA Quadro P5200 graphics, says HP. There are up to 50 million ways to customize it. Pricing on this is not yet available. The HP DreamColor Z27x G2 Studio Display is said to deliver consistent accurate color, features a wide color gamut, high performance IPS Panel and workflow management tools with breakthrough HP DreamColor technology. This 27-inch diagonal display uses an integrated pop-up sensor that calibrates on demand or on a regular schedule. HP says it worked with leading visual effects studios to create customized solutions for an optimal design process, including onscreen markers, remote management and the world’s first integrated keyboard-based input switching KVM13 to easily switch between devices. 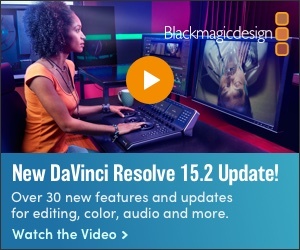 Users will experience a broad range of vividly accurate colors from 99 percent DCI P3 coverage, 98 percent Adobe RGB and a 1500:1 contrast ratio. This is retailing now for about $1,999.